KINGLAKE 100 Pcs 4'' Plastic Plants Nursery Pot/Pots Seedlings Flower Plant Container Seed Starting Pots by KINGLAKE at Tulips Orchids. MPN: TRTAZI11A. Hurry! Limited time offer. Offer valid only while supplies last. 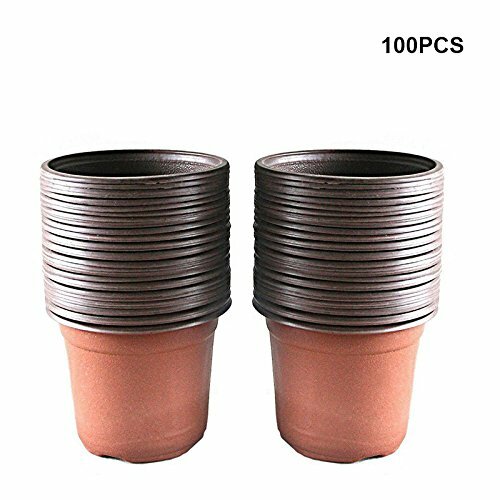 Product Description Quantity :100 Pots. Nursery Pot dimensions : 4 Inch Round At the Top. (outside diameter)There are drainage holes on the bottom.